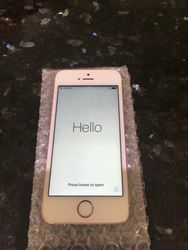 64gb Apple iPhone SE (Rose Gold) Unlocked. Phone is still in an excellent condition. Includes Box and Original Accessories..
Apple iPhone SE A1723 64GB Rose Gold (Unlocked) Good Condition.